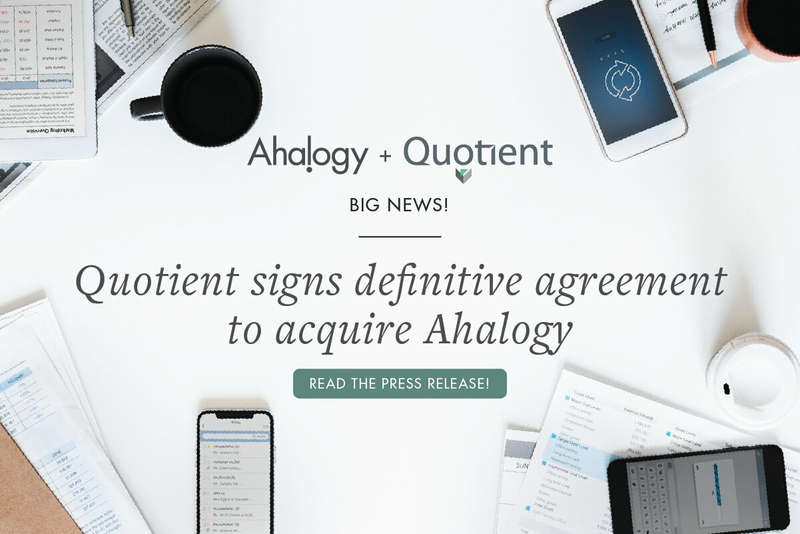 Quotient Technology Signs Definitive Agreement to Acquire Ahalogy - Quotient Technology Inc.
MOUNTAIN VIEW, Calif., June 1, 2018– Quotient Technology Inc. (NYSE:QUOT) today announced it has signed a definitive agreement to acquire Ahalogy, a leading influencer marketing firm that delivers premium content across social media channels for consumer packaged goods (CPGs) brands. The acquisition enhances Quotient’s performance media solutions for CPGs and retailers, adding social media expertise and a roster of proven influencers. Influencer marketing is projected to reach about $10 billion by 2020. Quotient will pay approximately $20.0 million cash in upfront consideration, subject to certain adjustments at closing. Additionally, contingent consideration of up to $30.0 million in cash may become payable upon the achievement of certain financial metrics from closing through Q4 2019 . The deal is expected to close in June 2018.